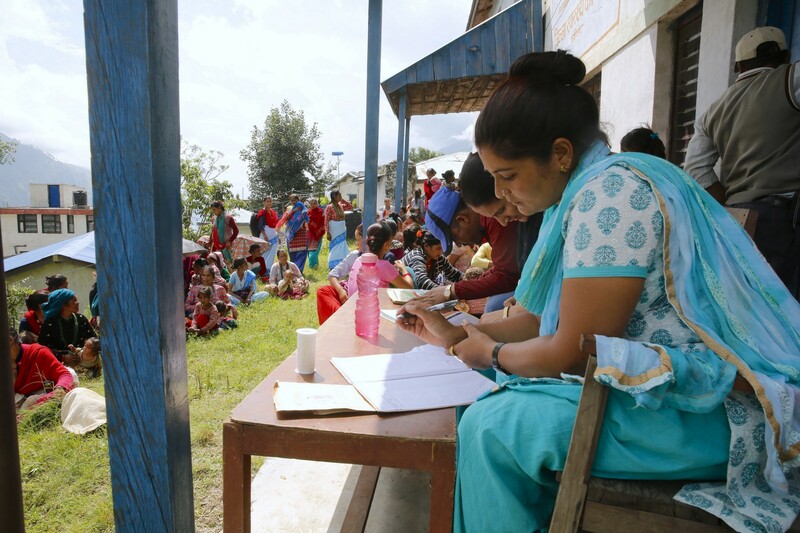 Blog by Seetashma Thapa, Public Information Officer at the UN World Food Programme (WFP). Original blog published on World Food Programme Insight. For many women, the journey to access healthcare is long and exhausting, as they walk under the scorching sun while pregnant or carrying small children. They have come to the hospital receive their take home ration of special fortified cereal, attend nutrition counselling and receive a health check-up, a service provided by the Government of Nepal and the United Nations World Food Programme (WFP). For 33,000 pregnant and breastfeeding women and children under 2, receiving nutritious food not only helps to prevent malnutrition, but is an incentive to attract women and caregivers to local health facilities. Here, they can access services which helps them raise healthier children. WFP is currently providing nutrient-rich foods to families in 6 districts across the country. With red vermilion running through their hair and wearing their best clothes, mothers as young as fourteen are accessing these services free of charge. For many, this is one of the few opportunities they have to leave their homes. Not a single husband has accompanied their pregnant wife or helped to carry their little babies, revealing that women are often left on their own while they are pregnant and raising their children. In Nepal it is common for men to migrate in search of work, leaving their wives at home to run their households, raise their children and earn an income. 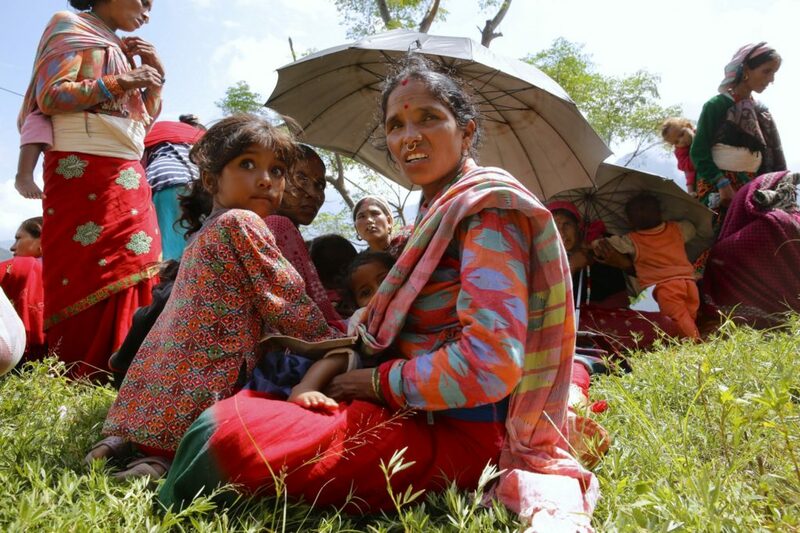 It is a sunny day in Kalikot, in western Nepal and more than 200 mothers have gathered at a hospital in Manma. They have come together with the same goal — to help their children to stay healthy and fight malnutrition. Basanti B. K’s husband left to work in an apple farm in India promising to send his pregnant wife some money so that she could raise their first born. Seven months have now passed and she hasn’t heard a word from him. She was married when she was 14 years and soon after out she was pregnant. “I did not know what to eat, there was no one to tell me, until I went to the health post to attend counselling sessions. 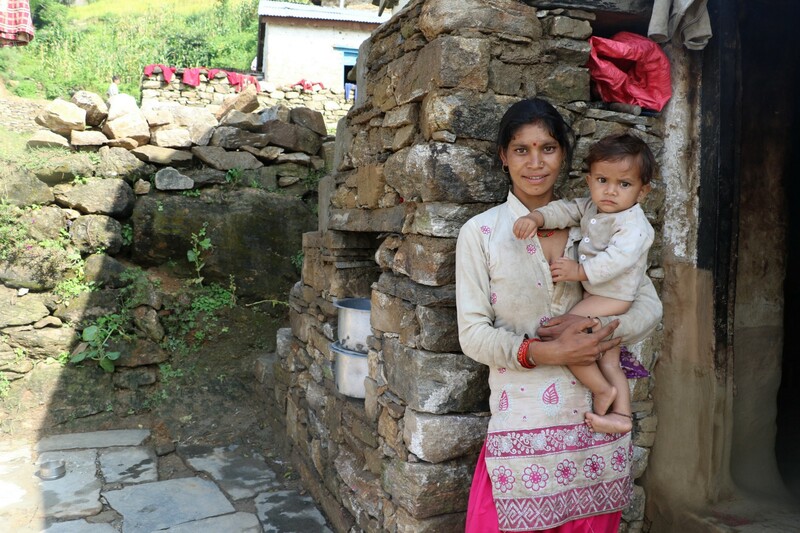 There, I also received fortified cereal, which helped me to become stronger during my pregnancy,” said Basanti. Today, Basanti also feeds her nine-month old son the same nutrient rich cereal and during this month’s check-up, both the mother and has been given the all clear. Basanti’s neighbours, Ishara B.K and Bindu B.K were also married in their early teens, have more than three children and live without their husbands. All three of them have physically demanding jobs. They break rocks and convert them into gravel to build roads. Due to their poor economic conditions, they are compelled to work throughout their pregnancies and after their children are born as this is their only means of earning a living. Despite having a newborn, Bindu has to work long hours on the labour site so that she can feed her family of four. She was unable to look after her baby and used to leave her under the care of her six-year-old daughter. “When I took my daughter for her first check-up, she was diagnosed with acute malnutrition, and they explained what I should feed her and was also provided with the nutritious flour,” said Bindu. After feeding little Shanta the fortified flour for three months, her weight increased and her health in general improved. Nepali women are burdened with household chores. They cook and clean, fetch heavy loads of fodder, grow food, keep an eye on their pasture and care for their children, and often do these tasks without the support of their husbands. In some cases, they also face discrimination at the hands of their in-laws, especially if their husbands are away. 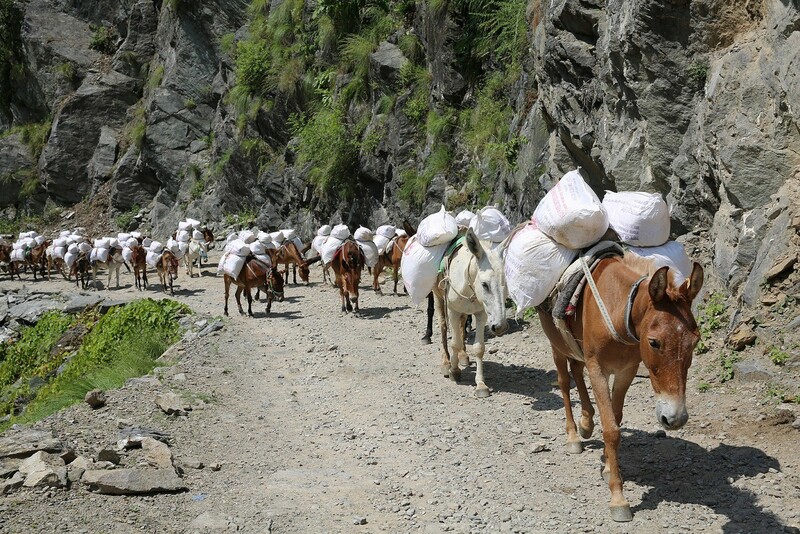 Kalikot, at the foothills of the Himalayas, is prone to recurrent natural disasters such as scanty rainfall, prolonged droughts, hailstorms, landslides and frequent crop infestation. 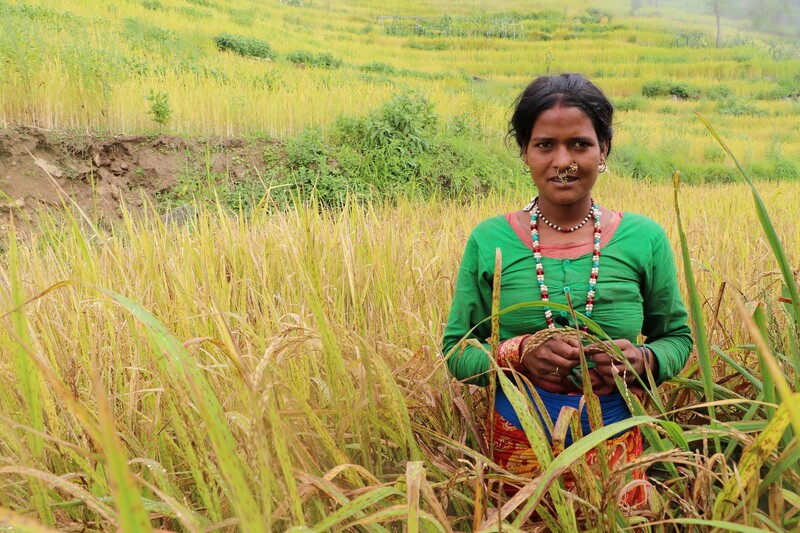 Families with small land holdings suffer the most because of the Karnali’s erratic weather. When crops fail, and food prices inflate, it is the poor that suffer most. In addition, topography, remoteness, difficult terrain and poor road infrastructure results in high transportation costs, causing food prices to soar in the markets. 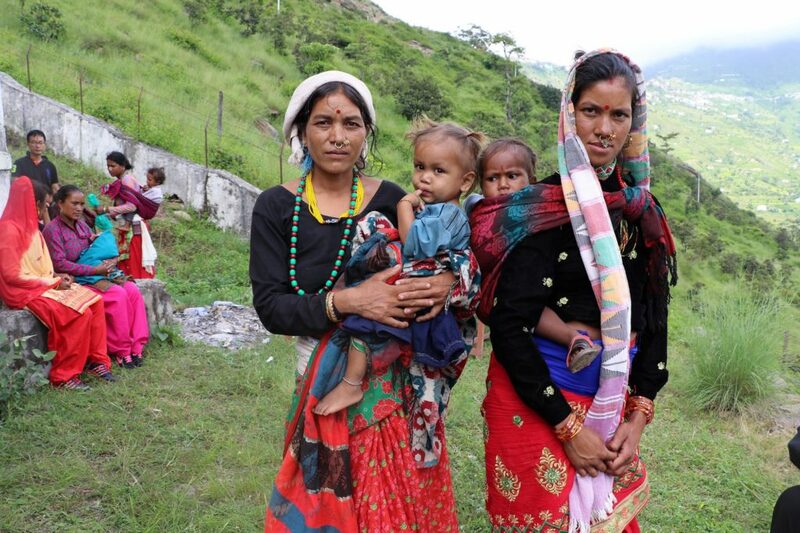 The voices of these women echo a situation that is shared by many women in Karnali. Patriarchy is deeply entrenched in their culture, and girls are married off very early. Often, teenage girls’ bodies haven’t fully developed to bear child and look after them — they are still children themselves. Because of this, teenage mothers suffer from anaemia, maternal malnutrition and have low-birth-weight babies. This leads to a cycle of malnutrition, where malnourished mothers give birth to malnourished infants, who are likely to be stunted and married off early. The Karnali region has the highest rate of chronic malnutrition in the country with rates reaching a high of 54.5 percent. Despite these poor nutritional outcomes, only 47 percent of the women receive antenatal care. In addition, poor child feeding practices are highly prevalent in the province, with only half of children aged 6–23 months being fed a nutritious diet. “Although food production in the Karnali is above average this year, women from single headed households and socially marginalised communities do not have access or the purchasing power to buy healthy food” said Pippa Bradford, WFP Nepal Representative and Country Director. “When they come to the health posts, the staff counsel mothers about the importance of eating locally available nutritious food. In addition, they receive a take home ration of special fortified cereal which fills the nutrition gal and enables their children to grow healthy” she added. 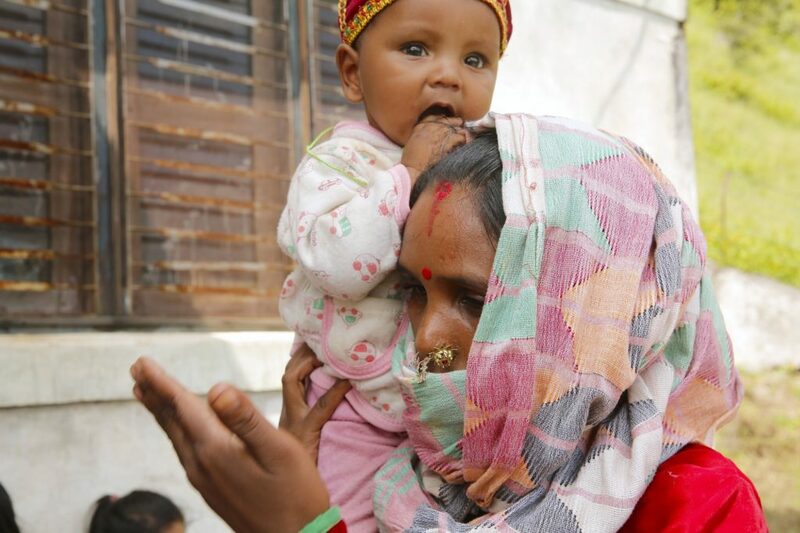 To raise healthier babies and address malnutrition, WFP seeks funding amounting to USD 5 million to implement the MCHN programme in the Karnali for a 5-year period together with the Government of Nepal.